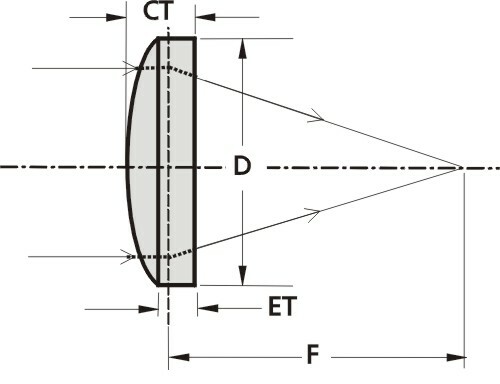 Plano-convex lenses have flat surface on one side and spherical surface on the other. They are widely used in telescopes, microscopes, collimators, optical transceivers, magnifiers, condenser systems and eyepieces. We also offer plano-convex lenses made of BK7 and CaF2 (Calcium Fluoride) and thin UV FS lenses, designed for applications with ultrashort pulses. If you would like to order a range of lenses with different focal lengths, please have a look at our UV FS lens kit offers.